YONKERS — “Across the suburbs north of New York City, clusters of luxury towers are rising around commuter rail stations, designed to lure young workers seeking easy access to Manhattan. In all, 16,000 apartments and condominiums are in the works in more than a dozen towns, along with spaces for restaurants and shops. “Tower 27/222 looms almost 100 feet tall in the Sierra Nevada foothills, a hunk of steel that has endured through 18 United States presidents. 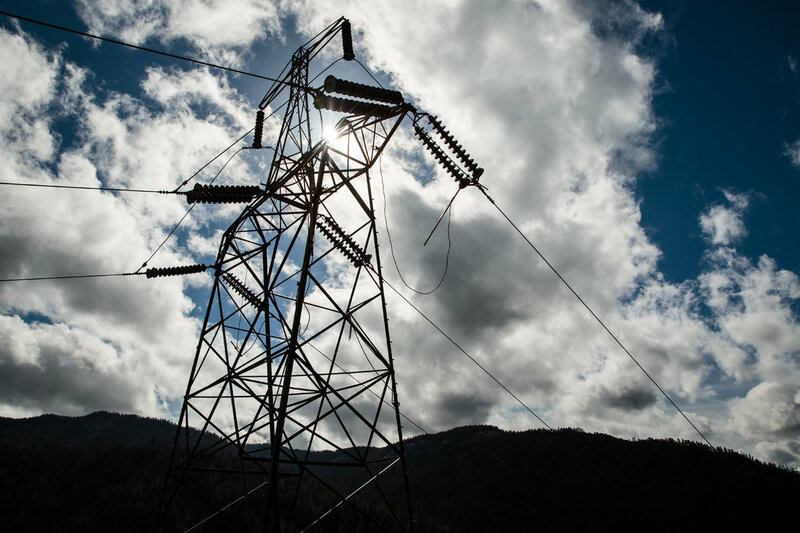 The transmission lines that it supports keep electricity flowing to much of California. On the morning of Nov. 8, a live wire broke free of its grip. A power failure occurred on the line, affecting a single customer. But 15 minutes later, a fire was observed nearby. Within hours, flames engulfed the region, ultimately killing 85 and destroying the town of Paradise. The equipment belonged to the state’s biggest utility, Pacific Gas and Electric. To the company’s critics, the tower and its vulnerability reflect a broken safety culture. Five of the 10 most destructive fires in California since 2015 have been linked to PG&E’s electrical network. Regulators have found that in many fires, PG&E violated state law or could have done more to make its equipment safer. “at Solo, we’re creating the future of energy. “It may surprise EV newbies to learn that an electric car’s charger is found on board the vehicle. It’s the equipment buried in the guts of the car that takes an AC source of juice from your house, and converts it to DC—so your car’s battery pack can be charged. This fact doesn’t stop nearly everybody from calling the wall-mounted box that supplies 240 volts of electricity a “charger.” Actually, that box, cord, and plug has a technical name—Electric Vehicle Service Equipment or EVSE—and if you have an EV, you’re going to want to install one at home. I have installed 29 solar panels on the roof of my house. It covers 100% of my electrical usage at the time of installation. I hope that UI and the CT regulators don’t screw the first implementers in CT.
“Berkeley, Calif. — CALIFORNIA has a reputation as a leader in battling climate change, and so when Pacific Gas & Electric and environmental groups announced a plan last week to close the state’s last nuclear plant, Diablo Canyon, and replace much of the electricity it generates with power from renewable resources, the deal was widely applauded.It shouldn’t have been. If the proposal is approved by the state’s Public Utilities Commission, California’s carbon dioxide emissions will either increase or decline far less than if Diablo Canyon’s two reactors, which generated about 9 percent of the state’s electricity last year, remained in operation. If this deal goes through, California will become a model of how not to deal with climate change. Here is an excellent comment from nyt comments that I support. “Agree with this article. I used to be an anti-nuke, but the climate emergency takes precedence. We should at a minimum use all the carbon-free nuclear plants now in service and probably build more, at least to get us over our emissions hump over the coming century. Maybe then, if we have a better mousetrap to provide carbon free baseload electric generation, we can shut down the nukes. Safety concerns over nuclear plants are legitimate, but do not trump the climate crisis. I am also influenced by the fact that apparently France and Japan have been doing something with their waste smarter than we are –leaving wast at operating plants, because of opposition to Yucca Mountain or other permanent repository. Opposition to Yucca is really just an anti-nuclear strategy of going after a vulnerable point in the nuclear production cycle. Is this true, does it make sense. I have no idea.too bad it was not open for readers to comment. That is a red flag.